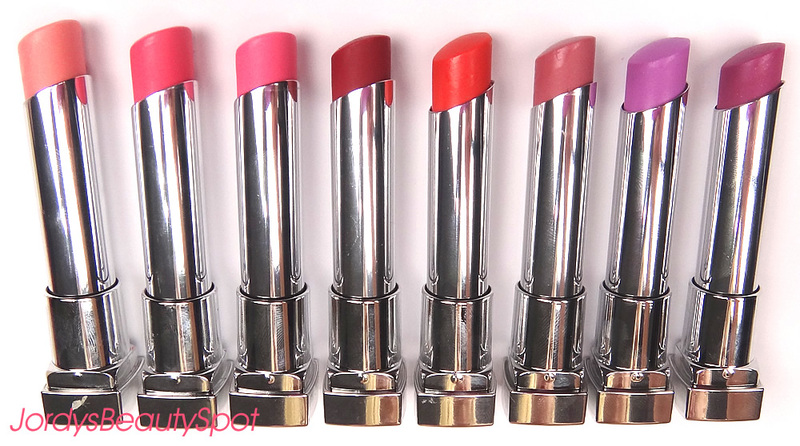 If you haven't heard of the latest Maybelline lip product collection then you have obviously been living under a colourless rock because these vibrant new additions to my collection have been brightening my day. Scent: A mixture between vanilla, fruit and flowers. Consistency: The consistency of the Color Whispers are described as a soft and translucent colour that doesn't cake the lips. It definitely isn't like your typical lipstick that feels heavy or thick on the lips, it's very lightweight. Pigmentation: The pigmentation is subtle with a kiss of shine so although it's quite a sheer finish, it packs quite a punch of colour considering the formulation is very much like a balm. Purchasing: Maybelline is really widely available at easily accessible stores such as Priceline, Kmart, Target and Chemists. Longevity: The Color Whispers unfortunately don't last as long as a typical lipstick but it's to be expected considering it's lightweight balm consistency. Application: Pure pigments are dispersed through the weightless gel so in other words they are surprisingly pigmented for something that feels like lip balm on your lips. Swatches: One Size Fits Pearl, Pink Possibilities, Petal Rebel, Who Wore It Red-er, Orange Attitude, Lust For Blush, Oh La Lilac and Mad For Magenta. Overall I think that the Maybelline Color Whispers are a phenomenal product and definitely a must have in any purse. I seriously recommend rushing out to your nearest Priceline to get your hands on some of these or heading over to my YouTube channel review where I'm giving away a whole set to one lucky winner. * The Color Whispers I reviewed and that I am giving away were kindly gifted to me by Maybelline. Wow nice 8 color collection. Actually I'm like these colors very much. Especially brown color.